Of course I obliged and sat down to crochet her a new one in slightly different colours. Less than 2 hours down the line - Violà a finished cowl! Don't you just love Instant gratification! Over the past couple of weeks I have been using up all of my stashed rests of felting wool to create a warm, fluffy cat bed. I did have to order another ball of yarn to give it the final layer at the top of the sides but I finally got this finished on Monday. I decided it was too big and threw it back into the machine. After the second wash (please excuse the blurry photo) Measuring in at just under 51cm it seems perfect. Our cat jumped right in even though it wasn't yet dry! A day later and the cats understand that it is totally their property and are actually bickering about who gets to get inside it first! I have been dying to make some coffee soap, with coffee grounds and caffeine. I made this bar over the weekend and love the way it turned out. How has your week been this week? What projects have you managed to complete? ooooh, your kitty bed is adorable! Love it. 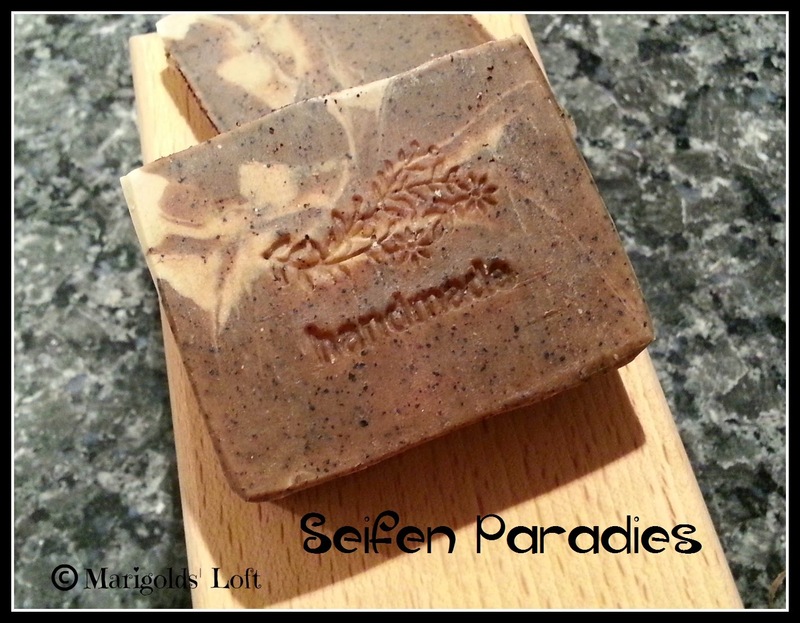 I have been making the coffee ground soap for awhile and my customers love it. Hope you like yours too. Thank you :) Yes, I hope I will, will let you know. I've never heard of coffee soap but it sounds amazing. Beautiful crochet projects too! I might have to whip up something felted for our cat... We've tried a few different types of beds so far but with no luck. She's just not really into them. Thanks so much for visiting, have an awesome weekend.